Pictures of the Tokyo Girls Award 2011 Autumn/Winter event in Harajuku – featuring fun Japanese fashion shows by WEGO, One Spo, Cecil McBee, Heather, Guild Prime, Lumine & more brands. Patrick takes a look at the “Love Bikini 2011 Princess Summer Collection”, featuring super-girly swimwear for Japanese girls who are into Hime Kei fashion. 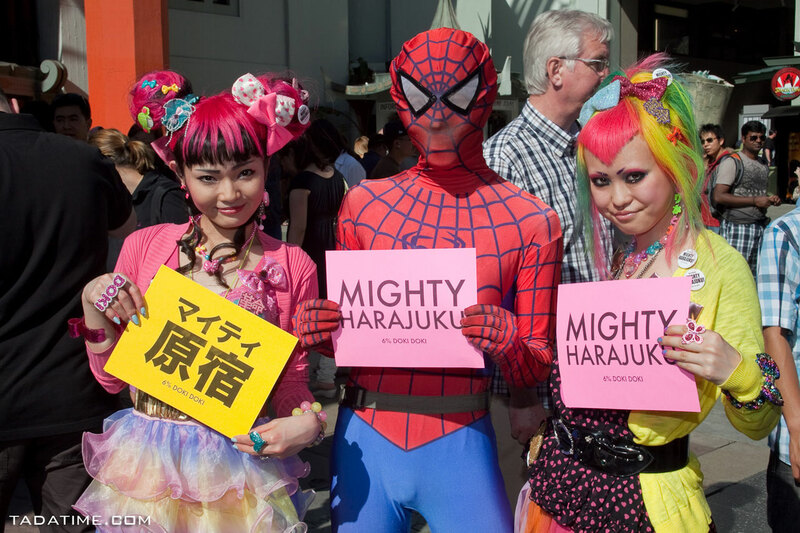 Pictures of a Spinns Harajuku party and fashion show in Spring 2011, featuring Kyary Pamyu Pamyu modeling for Milklim. Pictures of people enjoying beautiful cherry blossoms along the Nakameguro river in Tokyo in the Spring of 2011. Details on 6%DOKIDOKI’s upcoming “Harajuku Kawaii Experience 2011 Tour”, which will visit Los Angeles, Seattle, and Vancouver. The status of the 2011 A/W Japan Fashion Week in Tokyo events is up in the air in the aftermath of Friday’s devastating earthquake. 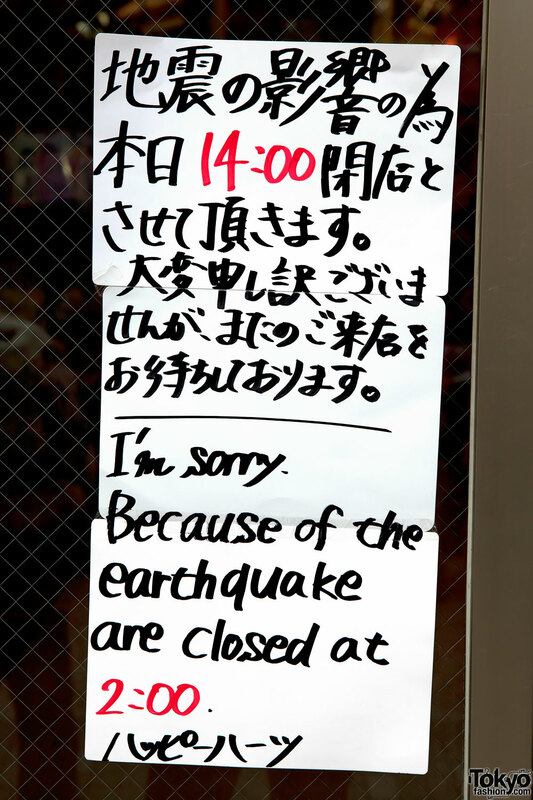 Pictures of the situation in Harajuku and Shibuya – with most shops closed – the day after the devastating Sendai Earthquake struck Japan. A report with 175+ pictures of the catwalk shows by every fashion brand at Tokyo Girls Collection 2011 S/S in Harajuku in March of 2011.